His name was actually Abdul Amr – the slave of Amr – before Islam. He was Abdur Rahman ibn Awf (radiallahu anhu) who embraced Islam at the hands of Abu Bakr (radiallahu anhu). He accepted Islam at a very young age, at the age of 21. 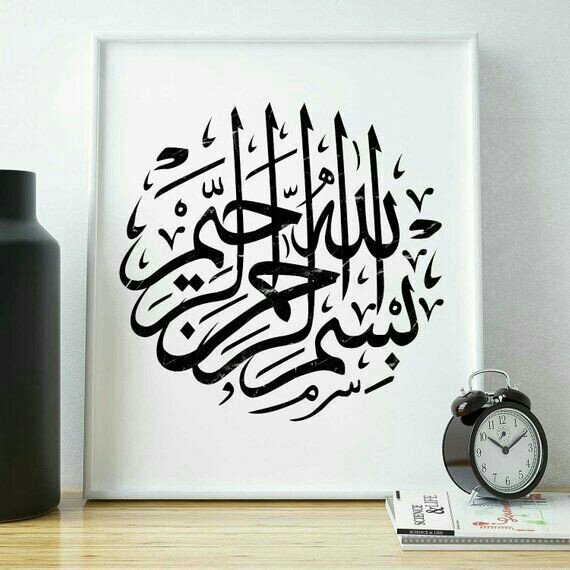 He already had a connection to Rasulullah (sallallahu alayhi wasallam) because his mother As Shifa was the woman who delivered Rasulullah (sallallahu alayhi wasallam). Abdur Rahman ibn Awf (radiallahu anhu) did not have a hard time accepting Islam. He was a person who was known for his purity, generosity, for always smiling, coming down to the level of the people and for enjoying a good relationship with everyone in the community. Abdur Rahman ibn Awf (radiallahu anhu) was well known amongst the Muslims for being rich but there comes responsibility with that. Being born into a poor family, Abdur Rahman ibn Awf (radiallahu anhu) did not get rich by chance. When he went with Rasulullah (sallallahu alayhi wasallam) for the Hijrah to Madinah, and Rasulullah (sallallahu alayhi wasallam) paired the Ansar with the Muhajireen, Abdur Rahman (radiallahu anhu) was paired with a man by the name of Sa’ad ibn Rabia. Sa’ad ibn Rabia was a very generous Ansari. He told Abdur Rahman ibn Awf (radiallahu anhu) that he was the richest man amongst the Ansar and that he (Abdur Rahman ubn Awf) could take half of his money, half of his house and half of his property. But Abdur Rahman ibn was an earner. He told Sa’ad, “May Allah SWT bless your family and bless your wealth, I don’t need any of that. Just show me to the market place.” In Madina it wasn’t easy to go to the market place and make things happen because the souk (market place) at that time was dominated by the Banu Quraidah tribe and they weren’t going to let a foreigner come and make a profit. But Abdur Rahman ibn Awf (radiallahu anhu) made his way into the souk and became a successful businessman, not in a matter of years or months but in a matter of days. He was known as the man who could turn a stone over and find gold. A few days after the market place, Abdur Rahman ibn Awf (radiallahu anhu) went to Rasulullah (sallallahu alayhi wasallam). He is neatly groomed and Rasulullah (sallallahu alayhi wasallam) looks at him and says, “Nahyam ” (like the expression “wow”) and asks him what happened. And Abdur Rahman ibn Awf (radiallahu anhu), who has just left everything behind in Makkah and has only been a few days in Madinah making the money he was able to make, says, “Oh Rasulullah, I got married.” Rasulullah (sallallahu alayhi wasallam) asked him how, with what. Abdur Rahman ibn Awf (radiallahu anhu) said he gave a brick of gold for his mehr. Rasulullah (sallallahu alayhi wasallam) was shocked that Abdur Rahman ibn Awf (radiallahu anhu) made his money that fast and tells him that he should have a feast, a walima, and within days of the Muslims migrating to Madina they were having a feast because Abdur Rahman ibn Awf (radiallahu anhu) was already able to get himself settled. Despite making wealth Abdur Rahman ibn Awf (radiallahu anhu) served in every battle. There were times when he gave a lot of money and that was what was recognised from him in battle. In Tabook he was known as the one who came forth with 20 pounds of gold for example. But there were also times that he suffered wounds. In the battle of Uhud he was one of the people who did not flea from Rasulullah (sallallahu alayhi wasallam) and who received 20 wounds which resulted in him having a limp for the rest of his life. Abdur Rahman ibn Awf (radiallahu anhu) was someone who was looked at highly by Rasulullah (sallallahu alayhi wasallam). He has the distinctionas the only other person, aside from Abu Bakr (radiallahu anhu), who led Rasulullah (sallallahu alayhi wasallam) in salaah. Once Rasulullah (sallallahu alayhi wasallam) returned from a journey and he prayed behind Abdur Rahman ibn Awf (radiallahu anhu) and the sahabah were shocked. They didn’t know what to do. Rasulullah (sallallahu alayhi wasallam) praised their action by continuing the salaah. Abdur Rahman ibn Awf (radiallahu anhu) had not been aware of Rasulullah’s (sallallahu alahi wasallam) arrival. After Rasulullah (sallallahu alayhi wasallam) passed away, Abdur Rahman ibn Awf (radiallahu anhu) took it upon himself to be the sponsor of the wives of Rasulullah (sallallahu alayhi wasallam). Abdur Rahman ibn Awf (radiallahu anhu) continued his generosity throughout and would continue to earn and give and earn and give. Sadaqah is what he was known for. Any time Rasulullah (sallallahu alahi wasallam) asked for any money, Abdur Rahman ibn Awf (radiallahu anhu) came forth. When Abu Bakr (radiallahu anhu) or Umar (radiallahu anhu) asked for money, Abdur Rahman ibn Awf (radiallahu anhu) came forth. Talhah (radiallahu anhu) once said that the Abdur Rahman ibn Awf (radiallahu anhu) was sponsoring the people of Madinah. One third of the people took sadaqah from him, one third had taken loans from him that he had not asked for and another third had debts which Abdur Rahman ibn Awf (radiallahu anhu) paid. Towards the end of his life Abdur Rahman ibn Awf (radiallahu anhu) fell unconscious and he had a dream. In the dream he saw that the entire Ummah was behind him. He woke up and the next day he passed away. Ali (radiallahu anhu) described the sight of Janazah of Abdur Rahman ibn Awf (radiallahu anhu) floods of people had come to pray for him because of how he benefited them. When he passed away, Abdur Rahman ibn Awf (radiallahu anhu) had 46 shares of inheritance. Each one equalled 80 000 dirhams. Abdur Rahman ibn Awf (radiallahu anhu) earned a halaal income and constantly gave of it in the path of Allah. And Nahyam is sounding really wrong. I’m pretty sure the exclamation is Mahyam… Maybe you can check it up? This isn’t actually my writing.. Its from the website mentioned in the post. I suppose the word is an Arabic term.